Let us enhance your ride with a policy that’s first-rate. Operating a motorcycle responsibly, not to mention legally, requires that drivers purchase motorcycle insurance. Because coverage requirements can differ substantially from state to state, it’s important to work with an agency that has broad knowledge, access to quality coverage, and the ability to write policies in many locations. SB One Insurance Agency is licensed to write insurance in 37 states, represents more than 20 of the nation’s most respected and highly rated regional and national carriers, and has experienced professionals who can assess your needs to make sure you are neither over- nor underinsured. For example, our professionals will tell you about state-mandated minimum liability limits, compared to the higher limits that may be a far better approach. Keep in mind that a single accident can have major consequences, with staggering costs for personal injury and property damage. Without sufficient liability coverage you would be responsible for paying those fees out of pocket, so this is protection you don’t want to skimp on. Other coverage our professionals will tell you about. You may be letting the good times roll on a Kawasaki down the Turnpike, skimming along the Sandy Hook Bay coastline on a chromed-out Harley, or even crossing international borders. Wherever you ride, your bike will need coverage in the event you have a collision for which you are at fault, or if the bike sustains damage by some other means—e.g., a flood, flying or fallen debris such as a tree limb. You’ll want to protect it from theft, along with as any additions (such as a sidecar) or special custom equipment you’ve purchased. 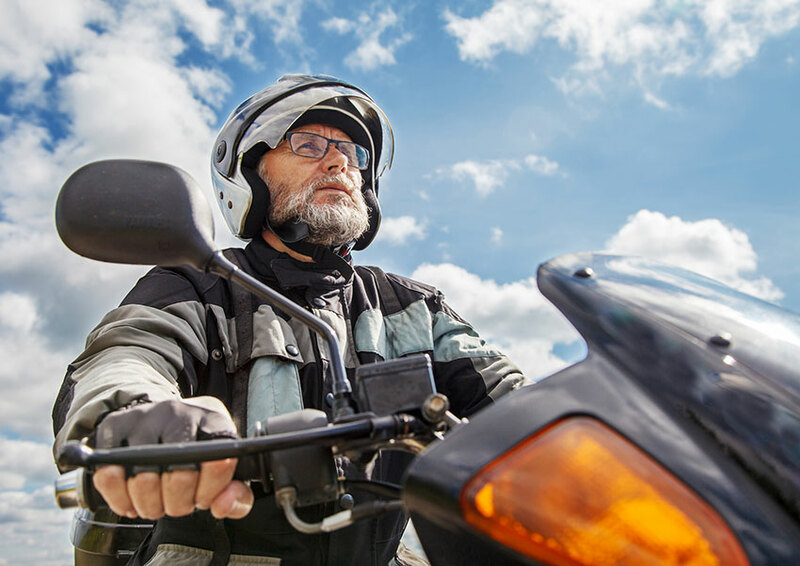 And because some motorcycle enthusiasts have made substantial investments in special riding gear, we can offer certain coverage for that as well.